The self-proclaimed Islamic State of Iraq and al-Sham (ISIS) recently shocked the world by destroying a number of archaeological sites throughout the region under its control, among which were the ancient Assyrian cities of Nineveh and Nimrud. 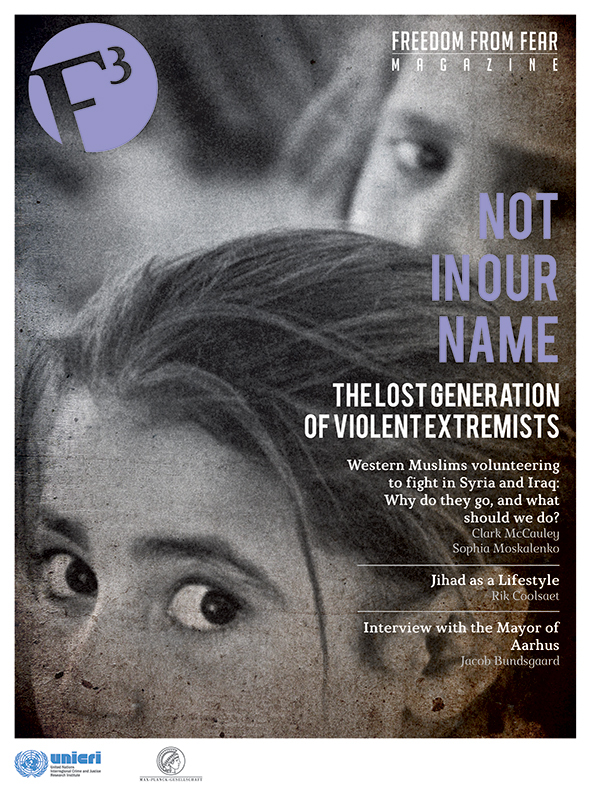 Determined to impose its culture as the dominant one in the region, Daesh – the Arabic equivalent of ISIS – calls for the destruction of all cultural property of other religious groups, as well as Islamic artefacts it considers haram or forbidden in Islam, such as religious shrines and art depicting human faces. In reality, the trade in looted artefacts from Syria and Iraq to the rest of the world represents a major source of income for the terrorist group. Amidst the long list of war crimes, crimes against humanity, serious human rights violations and possibly even genocide attributed to ISIS,(5) the destruction of cultural property within these war-torn countries might seem to lack importance and significance. Nevertheless, the region’s cultural heritage, comprising some of the world’s oldest traces of civilisation, belongs to human patrimony and should be protected by the international community. Additionally, one should not ignore the economic and development opportunities tourism could offer to both countries once the region stabilises. For instance, before the beginning of the uprisings in 2011, tourism in Syria accounted for an estimated 5% of the GDP. (6) Moreover, the potential healing power of cultural property, which might help bringing together communities within such heterogeneous societies, should not be underestimated. Further research is needed to deepen knowledge of ISIS’ exact level of involvement in and modus operandi of the antiquities trade. Nevertheless, Daesh is believed to play an active role in controlling the trade; not only is it in charge of the looting by providing permissions and levying taxes to looters, but it also monitors the artefacts and decides which objects are to be sold or destroyed. The useful and transportable objects are smuggled by intermediaries to the neighbouring countries Turkey, Jordan and Iran through traditional smuggling routes. At this point, internationally connected antiquities dealers and collectors are thought to act as a link between the illicit and licit trade. Undoubtedly, international cooperation and coordination are key aspects in the response to trafficking in cultural property. Antiquities smugglers are facilitated by the “open” borders surrounding both Syria and Iraq, some of which are extensive and difficult to control. ISIS makes use of smuggling networks that operate through long-standing routes, often passed on within families from generation to generation. The same routes are also used for trafficking in arms, drugs and human beings. Although ISIS in appearance is a religiously inspired group, its funding operations resemble those of an “ordinary” organised criminal network. By raising money through a wide array of essentially criminal activities, ISIS appears to be a self-sustaining organisation that makes most of its money from the territory under its control, rather than relying heavily on foreign money flows, such as private donations. It is, therefore, critical to tackle their financial resources, including the money generated by the illicit art trade, which constitutes one of their main sources of income. The effectiveness of traditional channels used for tackling financial terrorist funding, such as closing bank accounts and blocking money transfers, may decline in the case of ISIS. (13) In fact, being a cash-based organisation that also heavily relies on hawalas or informal money transfer networks, ISIS is able to avoid legitimate banking channels. It is, however, essential to enhance border controls, in particular with the neighbouring States, and establish additional custom operations to prevent smuggling. The international community should also focus on promoting States’ adherence to and implementation of the relevant international legal framework, encouraging the documentation of archaeological sites in the affected States, enhancing the monitoring of the cultural property market, and raising public awareness on the seriousness of the issue. The relevance of the involvement of Daesh in the illicit trade in archaeological goods from ancient Mesopotamia should not be underestimated. Despite the fact that this criminal activity seems to fade away among the horrendous atrocities that continue to be perpetrated in the region, its financial impact appears to be vital to the organisation. Annelies Pauwels holds an M.A. in Linguistic and Cultural Mediation from the University of Milan with a specialization in the Arabic and Russian languages. She recently obtained an LL.M in International Criminal Law from the United Nations Interregional Crime and Justice Research Institute (UNICRI), with a Master thesis focusing on the Belgian Foreign Terrorist Fighters in Syria and Iraq. After having interned at UNODC’s Terrorism Prevention Branch, she is currently serving at UNICRI. 1 Peter B. Campbell, “The Illicit Antiquities Trade as a Transnational Criminal Network: Characterizing and Anticipating Trafficking of Cultural Heritage”, International Journal of Cultural Property, 2013, 20:113–153, http://www.academia.edu/4146904/The_Illicit_Antiquities_Trade_as_a_Transnational_Criminal_Network_Characterizing_and_Anticipating_Trafficking_of_Cultural_Heritage. 2 Brigadier General (Ret. 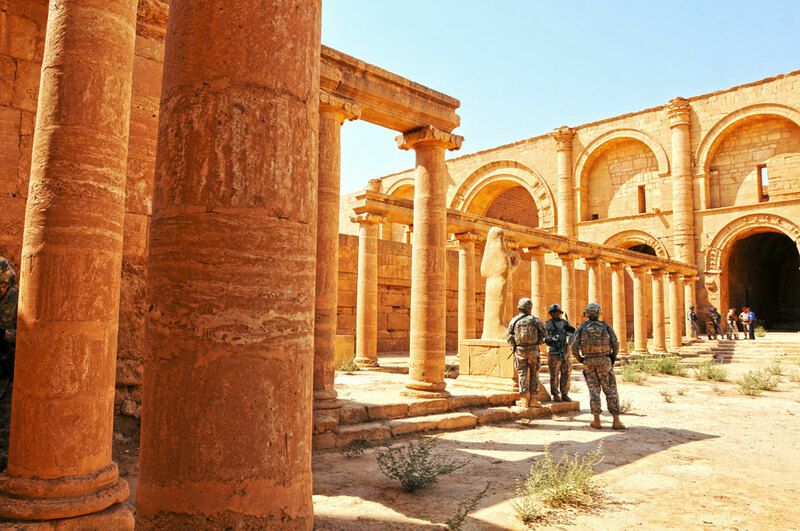 ), Russell Howard, Jonathan Prohov, Marc Elliott, “Digging in and Trafficking out: How the Destruction of Cultural Heritage Funds Terrorism,” CTC Sentinel, Vol 8 Issue 27, February 27, 2015. 3 Deborah Amos, “Via Satellite, Tracking the Plunder of Middle East Cultural History,” NPR, March 10, 2015, http://www.npr.org/blogs/parallels/2015/03/10/392077801/via-satellite-tracking-the-plunder-of-middle-east-cultural-history. 4 Franklin Lamb, “Looting is the Greatest Threat to Our Cultural Heritage in Syria,” Foreign Policy Journal, December 29, 2014, http://www.foreignpolicyjournal.com/2014/12/29/looting-is-the-greatest-threat-to-our-cultural-heritage-in-syria/. 5 Report of OHCHR on the human rights situation in Iraq in light of abuses committed by the so-called Islamic State in Iraq and the Levant and associated groups, March 13, 2015 (published on 19 March 2015). 6 MapAction, “Impact of the conflict on Syrian economy and livelihoods Syria Needs Analysis Project, Syria Needs Analysis Report – July 2013,” July 29, 2013, http://www.mapaction.org/component/mapcat/download/2960.html?fmt=pdf. 7 United Nations Security Council (SC), “Security Council resolution 2199 (2015) [on threats to international peace and security caused by terrorist acts by Al-Qaida],” February 12, 2015, S/RES/2199 (2015), http://www.un.org/ga/search/view_doc.asp?symbol=S/RES/2199%282015%29. 8 Janine di Giovanni, Leah McGrath Goodman, Damien Sharkov, “How does ISIS fund its reign of terror?”, Newsweek, November 6, 2014, http://www.newsweek.com/2014/11/14/how-does-isis-fund-its-reign-terror-282607.html. 9 Philipp Jedicke, “Germany attracts trade in looted artefacts”, Deutsche Welle, October 24, 2014, http://www.dw.de/germany-attracts-trade-in-looted-artifacts/a-18019083. 11 United Nations General Assembly (GA), “General Assembly resolution 69 (196) [International Guidelines for Crime Prevention and Criminal Justice Responses with Respect to Trafficking in Cultural Property and Other Related Offences],” December 18, 2014, A/RES/69/196 (2014), http://www.un.org/en/ga/search/view_doc.asp?symbol=A/RES/69/196. 12 UN News Centre, “New UN-led anti-trafficking campaign to help raise tourists’ awareness”, March 5, 2014, http://www.un.org/apps/news/story.asp?NewsID=47286#.VT-hJyGqqko. 13 Howard J. Shatz, “How ISIS funds its reign of terror”, The Rand Blog, September 8, 2014, http://www.rand.org/blog/2014/09/how-isis-funds-its-reign-of-terror.html.